Description - Pebble Hill 5" wide planks offer a charming and natural hardwood option that is easy to install and care for. This engineered technology allows these wood planks to be installed on any level of the home, including the basement. Microbevel edging creates a unique look across the whole floor while light and dark planks lay side by side, adding a rustic touch to any room. Unlike solid hardwood, this Hickory option is extremely versatile, durable, and is backed by a lifetime warranty. Material – Shaw’s engineered flooring is constructed with a HDF core and finished with ScufResist Platinum. ScufResist Platinum is a UV-cured polyurethane finish with aluminum oxide. 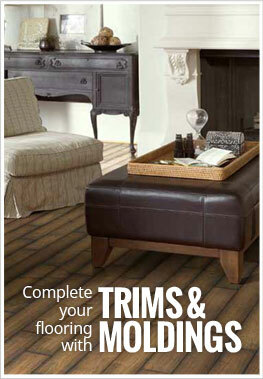 Size – These engineered hardwood planks are 5" wide. Average plank length is ~3'. Thickness – Each plank is 3/8" thick in random lengths. The wood veneer is 1.8mm thick. Installation Method – Nail / Staple / Glue / Float. Weight – Each engineered wood plank weighs ~1.75 lbs per sq ft. Recommended Uses – Pebble Hill has been installed successfully in reading areas, kitchens, bedrooms, living rooms, basements, and many other spaces. Do not use abrasive cleaners that leave dull residues. Never wet mop the floor with water and do not allow excess cleaner to remain on the floor surface as this may permanently damage the wood. Steam cleaners are not recommended. For more detailed cleaning instructions along with commercial cleaning instructions, Click Here. Installation is simple, and is commonly done by our customers. To view the installation instructions, please Click Here. Handscraped with a microbeveled edge. Can be installed on, above, or below ground level. Does this have a rating for how much volatile emissions, like formaldehyde? Shaw Flooring Hardwoods and laminates meet GREENGUARD certifications for indoor air quality. I originally wanted solid hardwood, but this ended up being way cheaper and it's absolutely stunning in person. The pictures don't even do it justice.